Idea and innovation management: Network your employees worldwide, develop and evaluate ideas. Develop sound innovation concepts. 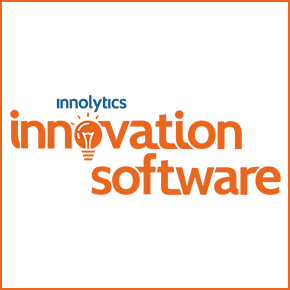 Managing innovation processes: From the first discussion to successful implementation, Innolytics® Innovation Software supports you in setting up agile, flexible innovation processes. Open Innovation and co-creation: You want to involve customers and partners? With the Innolytics® innovation management software you can start new campaigns quickly and easily. Multilingual use worldwide: Multilingualism and automatic translation aids make the Innolytics® innovation management software a global innovation platform. Promotes sustainable commitment: The integrated incentive system ensures that your employees are committed to innovation on a sustained basis. With each activity they collect points. Developed for the mobile age: Your innovation management becomes mobile: Whether desktop, tablet or smartphone, the software adapts to your needs. Mobile website, apps for Apple iOS and Google Android.